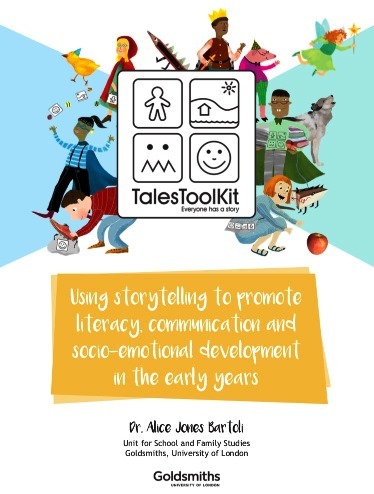 Lots of you have written to ask about the launch of Tales Toolkit. Read on to find out more. We’re planning a full launch for early 2017. In this blog we’re going to chat through our plans and explain how you can become part of the first cohort of Tales Toolkit schools using our resources early in September this year. We’ve been working really hard to find the best way to get our resources out to you. I know the resources seem really simple (and they are, and super effective too!) but we want to make sure you realise the full scope of how you can use the kit. It’s really not just a storytelling resource, there’s scope for so much more! So, after a lot of deliberation, here’s our plan! We’re going to create online training which will be sold with Tales Toolkit resources. You’ll get training along with the kit needed to start. We’ll set up a forum where you can chat with other teachers using Tales Toolkit and ask for advice. We’ll provide you with planning examples, links to further reading and research, videos of children using the resources and lots of ongoing ideas and support. Towards the end of this blog we’ve given more detail about the training content. So, how can you get involved in September and become one of the first Tales Toolkit schools, leading storytelling and creativity, becoming a school where others look to follow fantastic practice? 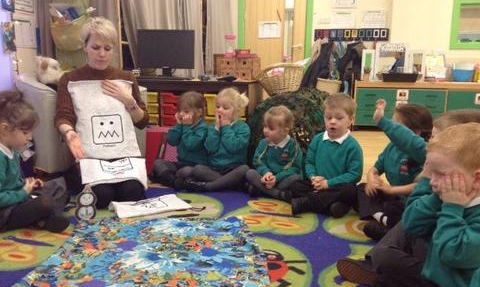 Tales Toolkit are looking for 15 schools to trial the online training package. As one of the first online training schools you’ll have lots of contact with Kate and Inge. We’ll be looking to exchange our support for regular feedback. Any questions you have, we’ll be available to help. You’ll get the package at a reduced rate of £500. Included in this you’ll get one of all the resources and downloadable writing frames. You’ll also be able to buy additional resources and kits. Training can be accessed time and time again to train all the teachers in your setting. As one of the online training schools we’ll be asking for your ideas and feedback to improve our training for others and future teachers within your school. Get in touch if you’re interested. We’ll be collecting information on schools so we can look for clusters which makes it easier for us to visit. If you have a group of schools interested this will raise your chance of becoming one of the 15. Kate will available for training days in schools and boroughs. We’ve started booking these for the Autumn term and have a limited availability. The training sessions are priced at £2,000. We can run training with up to 20 members of staff. We ask the school or borough to provide the venue and lunch. On the day there will be the opportunity to buy all of our resources. You’ll also be given access to all of the writing frames. Training includes how to use all of our resources including links to the whole curriculum, ideas for developing empathy and creativity, ideas for parent training, how to show impact using Tales Toolkit and much more! So what does the online training look like? It consists of 6 separate 50 minutes training sessions outlined below. These will run as after school staff meetings and include activities for you do as a team. Just press play. Each of the 6 sections will include links to further research, reading and downloadable resources. There will also be a member forum where you can share ideas and ask questions from other Tales Toolkit schools. Session 1 – Tales Toolkit for quality interactions. 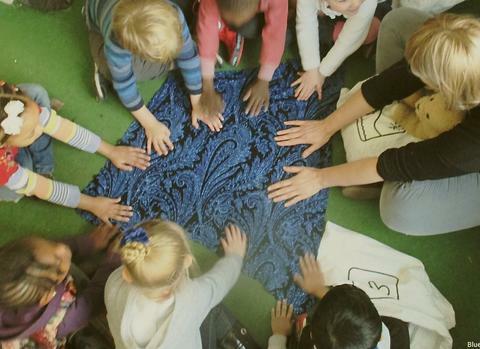 This is an important session where we discuss providing children with quality interactions. This session sets you up ready to use Tales Toolkit. Session 2 – Tales Toolkit group stories. Learning how to use our big kit for group stories with lots of tips and ideas and access to lesson plan examples. Session 3 – Tales Toolkit across curriculum and provision. Learning how to use the rest of Tales Toolkit resources – apron, hanging prompt, little kit around your setting while covering different areas of learning. Session 4 – Tales Toolkit to impact writing. Learning how to use Tales Toolkit writing resources and how to engage boys with writing. We’re really excited to hear from you and can’t wait to start hearing your stories. Get in touch if you’d like to get involved or have any questions.